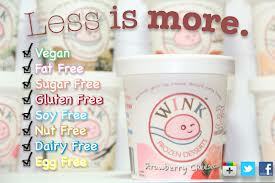 Smart Allergy Friendly Education: WINK Frozen Desserts - GF, SF, NF, DF & EF!! What a spectacular allergy~friendly find!! WINK Frozen Desserts - GF, SF, NF, DF & EF!! What a spectacular allergy~friendly find!! Very excited to be back to blogging after a short hiatus working on another community service project; co-chairing a school auction! Much more time put in than I expected, yet, much more payoff personally than I anticipated! Now back to my first passion! 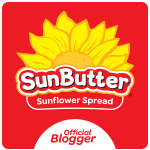 Sharing product ideas for those navigating the allergy world. This suggestion is: vegan, fat free, sugar free, gluten free, soy free, nut free, dairy free AND egg free. A few weeks ago I had the wonderful opportunity to try out a new ice cream that I know many in the allergy world will enjoy! The company sent me a few samples, and I let my local taste testers get to work. It didn't take very long to get their responses collected. More, more, and a little bit more please!! Mint Chocolate WINK FROZEN DESSERT, manufactured by Wink Frozen Desserts, LLC, Hewlett, NY. Don't have a store nearby? NO Worries! Visit their Wink Frozen Desserts On-Line Store. They have pints and minis to order and 9 flavors to choose from. Their prices are more than reasonable, and they have a nice variety of choices. Mint Chocolate is my family's favorite and the Cinnamon Bun comes in a strong second place! Now we want to try the Strawberry Cheesecake and Caramel!! On-line store, here we come!!! I couldn't agree more with you, Daniella! It is so confusing that their ice cream is so good - yet while working for so many of us! Better still, the folks behind Wink are all around standup guys. They've been phenomenal enthusiasts for freedible - I would love it if you share this post there to help raise their profile since they've done so much to support the community! 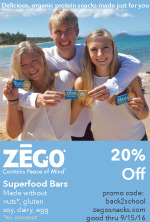 So glad you're getting the word out about their awesome products!